Tested items included: Performance t-shirts and boxers from the collection Summer 2011(aka DAKAR) as well as standard T-shirts and underwear nanosilver. The new collection was expected to have cooling and antibacterial effects due to the synergy of COOLMAX and NANOSILVER. 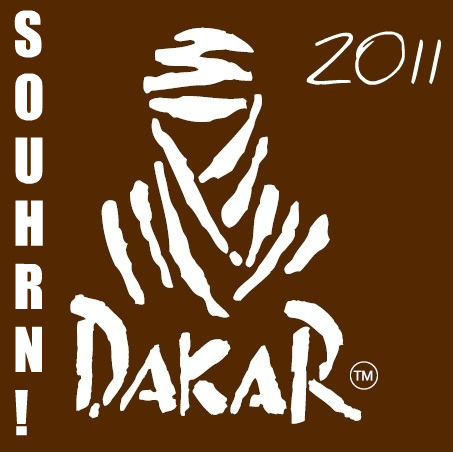 Rallye Dakar is an international competition with several "most". It is arguably the world's most dangerous motorized vehicles race, the most expensive, the longest and most strenuous to humans. Also the most ruthless to your mechanical parts. Simply one of the most extreme! The race is broadcasted in 190 countries from around the world and the website www.dakar.com recorded 350.000.000 hits not counting facebook, twitter and unofficial websites which draw a lot of attention too. In Chile and Argentina solelym there are about 4 million visitors lining the tracks. 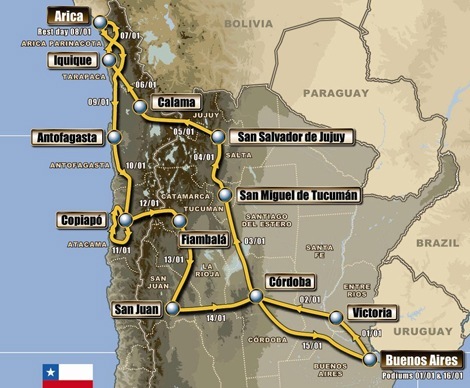 The drivers and and teams race for 14 days along 10 000 km, starting from Buenos Aires and finishing at the same place if the technology, skill and luck are in harmony. The track leads through elevations and drops of over 3500 m (10000ft) on a single day, and large sections of track lay in over 2500 metres above sea level (7000ft). Putting up with the hight, temperatures ranging from 0C at night in the mountains to 55C heat and drought during the day in the Atacama desert. All summed up, these conditions are optimal for testing products claiming -great performance- at all times.Let's see how we did. The Czech team with a suitable name: Extreme Racing team decided to try out several products from the company NanoTrade Ltd. The Products from Nanosilver collection should be particulalry well performing at a range of uses. The drivers and mechanics of the team were armed with boxer briefs and socks nanosilver as well as gels and hygienic wipes. So how they performed? The navigator of the racing Hummer H3evo Mila Janacek claims:"I'm a bit weary of using all these "cosmic age products" that are advertised all over the place. In the case of nanosilver garments, I was very pleasantly surprised. Not only it is soft, it doesn't itch, it breathes so I sweat a lot less- which in effect leads to a lot less chafage in comparison to normal underwear. On top of that, since the sweat is conducted away, at night, it keeps you dry and warm. 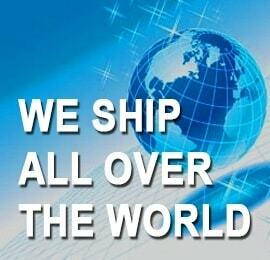 The underwear is well designed and fits comfortably which is of superior importance. After a day in a racing seat I didn't have any seams pressed on my skin which would distract me during the race. I'll never forget the time when seam on a pair of underpants from a well known producer kept itching and scratching and for about half of a day I couldn't focus on anything else properly. Apart from the clothes I was very pleased with the cleaning power of the antibacterial wipes. I kept a few on me since the first day and at the end of the day all dusty and sweaty, two towels for my face and one for my hands were a great refreshment. In conclusion Underwear and wipes were my number one. 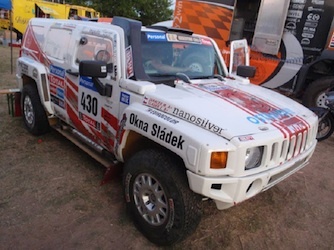 The driver of the racing Hummer H3evo was Zdenek sladek. "I must agree with my colleague. On top of that I have to add that even after 2 days in extreme conditions, the clothes eliminated all odours. As far as fitting is concerned, more than Mila I need to have no itching or scratching or my skin gets really irritated and I get a strong reaction. I was very happy with nanosilver garments. The socks are comfortable too, although I ended up not trying the thick ones" says apologetically Zdenek Sladek. Our mechanics, which can get very sweaty preparing the cars were all very satisfied with all the products. The nanosilver T-shirts were worn by the team members even after the race ended in Buenos Aires which proves that apart from their high performance, they are also fashionable. More than two thirds of the tissues were used up by our mechanics who were able to remove even quite recalcitrant grease from their hands. 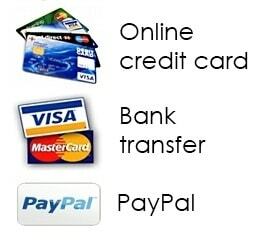 Concluding for myself- I didn't encounter any issues with Nanosilver products and can thoroughly recommend them. Unfortunatelly, due to a crash, the Extreme Racing Team did not make it to the end of the race, however, after fixing the vehicle, the whole team eventually completed the track, travelling over 700km every day. For Zdenek Sladek's team, the Dakar Rallye is not just any entertainment. It is a challenge they carefully plan for a whole year in advance. Currently they are in preparation for the World cup Baja 2011, and although it seems far ahead, they are already figuring out what to do for next year's Rallye Dakar which will take place in the South america again- this time even more demanding and longer, visiting not just Chile and Argentina, but also Uruguay or Peru. "Let the organizers of the race surprise us with the plan for next year, all we know for sure, is that if nanosilver products will be available to us next year as well, the race will be a little bit more comfortable to us than to our rivals.